The time is now upon us. We’re on the eve of the Premier League Kick-Off, and lets just say that things are about to get very exciting indeed. Football fans across the whole world will have been waiting for this day to come for a very long time, and it presents itself with some great matches in the first weekend of EPL action. This evening at the Emirates Stadium in North London, sees Arsene Wenger’s Arsenal face off against former “Champions” Leicester City, managed by Craig Shakespeare. Kick Off is at 19:45pm, and with Leicester City’s new addition of Kelechi Iheanacho from Manchester City teaming up with Jamie Vardy, and with Riyadh Mahrez’s rumoured transfer to AS Roma hanging in the balance, this could prove to be a very interesting match. Plus, with Alexis Sanchez still set to stay at Arsenal, albeit reluctantly, the outcome of this game could sway many players’ minds. With every new season’s kick-off, it brings new kits, new players, and a new sense of excitement and anticipation for the league competition ahead. Arsene Wenger has even stated that Pep Guardiola is in for his toughest season yet, and we couldn’t agree more with his mammoth transfer activities as of late. Up next it’s Watford vs. Liverpool and with Philip Countinho garnering serious interest and bids from FC Barcelona, it will be interesting to see how Liverpool line-up, with some saying that they still lack a good central defender to lead the side, whilst, Watford have strengthened their team with the recent acquisition of Andre Gray from Burnley, presumably to partner Troy Deeney upfront and with new Portuguese coach Marco Silva at the helm, Liverpool can’t expect anything less than a tough match. Then there’s Chelsea vs. Burnley at Stamford Bridge, where Antonio Conte’s side of last year’s champions will face off against a usually resilient Burnley side, minus Andre Gray, which could spell curtains further for their lack of goalscoring this season. Chelsea have experienced a strange Pre-Season and Antonio’s side might be in for a tough season, after selling and loaning out too many players, leaving them with a bare thin squad of 17 players, but new faces are expected to arrive, however, they will not come cheap, in the least. Alvaro Morato is their new star striker after signing from Real Madrid, but questions remain whether he will start this match, with the boss probably preferring Michy Batshuayi, as Diego Costa is apparently surplus to requirements. In saying all that, we expect Chelsea to come out comfortable winners. Up next, Crystal Palace vs. Huddersfield which sees Frank De Boer’s take the reigns of Palace and he’s injected some Dutch players to his defence like Jairo Reidewald and ex-Manchester United youngster Tim Fonsu-Mensah, to provide young legs and some pace at the back, something which Palace have been missing over the years, plus add last seasons purchase of Van Aanholt and what do you have? You got three Dutch players that can provide some width and hard tackles, however, in the striker department, a lot is riding on Christian Benteke and Conor Wickham, so they do look one striker short of complete, don’t they? On the other hand, Huddersfield are a bit of a mystery package, as they’re newly promoted, but they recently bought Steve Mounie from Montpellier, so hopefully he will be a success. At Goodison Park, we have Everton vs. Stoke City and with Wayne Rooney set to make his return to his boyhood club, this will dominate the headlines, even more so, if Wayne Rooney plays a good match for Ronald Koeman’s side, so there’s that to look forward to, as well. However, without a central striker that bangs in regular goals, unless it’s to be Wayne Rooney or Sandro Ramirez, there will be questions about Koeman’s attack, unless the goals fly in, straight away. But, with Stoke City, what you get is strong defending, resilience and Mark Hughes, who’s been their manager for the past four seasons and entering into his fifth, on the back of losing Marko Arnautovic, which can’t be good, so there’s a definite opportunity for new signing Choupo-Moting from Schalke to stake his claim, as well as, Mame Biram Diouf to take the goalscoring burden onto their shoulders. Up next, it’s Southampton vs. Swansea and this match is a tough one to call, but we think that Southampton will almost win it, or it will end in a draw. Since, with their new coach Mauricio Pellegrino taking over the reigns at St. Mary’s, he retains most of the squad from last season and Marco Gabbiadini is sure to be a goal threat as always, and can they afford to sell Virgil Van Dijk to Liverpool? Well they might just have to if they want to buy any more new star players, but luckily they signed up Mario Lemina from Juventus for £18 million, so they are making silent strides to become a better side. Whereas Swansea, have so far managed to keep a hold of Gilfi Sigurdsson from the clutches of Everton, but with only the new signings of Roque Mesa and Van Der Horn to speak of, it doesn’t mean that Manager Paul Clement doesn’t know what he is doing, since he’s a top coach, perhaps finding the right balance in his team. Then it’s Brighton & Hove Albion vs. Manchester City and Pep Guardiola couldn’t have asked for an easier start for his multi-million pound side, which now boasts three new wing backs and Bernardo Silva from AS Monaco, to make Brighton’s afternoon, nearly impossible. Brighton have signed Isaiah Brown from Chelsea, but one wonders if he will start for the side. There’s a big gap between the sides and we see Manchester City coming out as comfortable winners here. 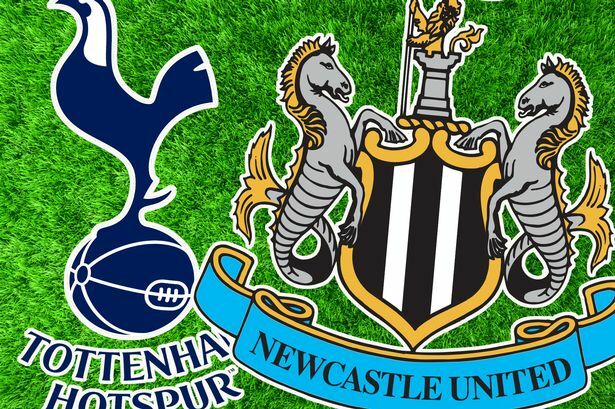 Up next, it’s the return to the Premier League for Newcastle United Vs. Tottenham Hotspurs and this match could prove to be a real battle, with Tottenham yet to make a single signing in the transfer window, which has left some players bereft of confidence ahead of the new campaign, with most recently, Danny Rose voicing his disapproval of business, so this might go onto effect the result on Sunday. Where as Rafael Benitez has questioned Mike Ashley’s willingness to supply funds for key transfers, has made him say publicly that they could be in for a relegation battle this season. Finally, it’s Manchester United vs. West Ham at Old Trafford, which sees Jose Mourinho’s men up for their first real test after a good pre-season campaign, playing in front of their home fans with expectations of a win definitely preying on people’s minds, as the fans want the glory days back, after singing Lukaku and Matic. On the other side, Slaven Bilic’s West Ham side have added strength in all areas of the pitch, with Joe Hart now in goal, Pablo Zabaleta at right back, not much to mention in Midfield, but especially in attack, with the additions of goalscorer Javier Hernandez (former Man U player) and with Marko Arnautovic also being able to play in the final third as a wide player or striker, you could see both of them forming a killer partnership. However, we feel that Slaven Bilic may fall short of Jose Mourinho’s tactics and expect a close game, but with Manchester United to win it, by a fine margin. There you have it! That concludes our Premier League Weekend Round-Up special to celebrate the new season. Feel free to use our advice if you intend on making a cheeky bet. You never know, this could be your lucky day.